Bang! is a Wild West based card game, in which players compete as renegades, outlaws, deputies, and sheriffs. Although at the time still unknown in most other regions, Bang! was already quite established in Italy when publisher dV Giochi planned to release the game internationally at the start of this millennium. 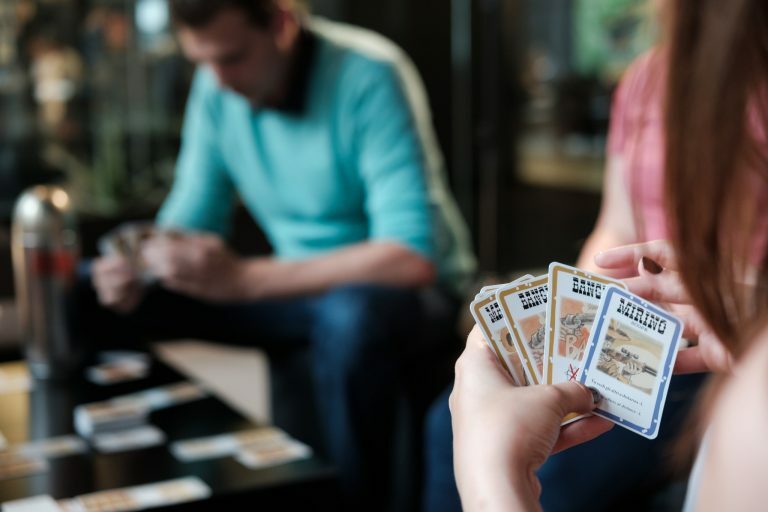 With ambitious intentions of launching in twenty new countries at once, they wanted a strong international production partner and got in touch with Cartamundi. dV Giochi had already upgraded the game’s packaging once in the past, replacing the standard tuck box with a more sturdy bottom-lid box typically used for board games, but their main focus always stayed on the game itself. dv Giochi’s constant progress, coming up with multiple expansions and spin-offs of Bang!, inspired Cartamundi to contribute to the game as well, and we decided to start thinking about how the game’s packaging could be enhanced. Our creatives and packaging engineers were instantly excited about the project. Besides having the visually strong Western theme, Bang!, and all of its expansions, were being sold in a relatively low price range, which left room for a bold approach to the new packaging. When all was said and done, “bold” ended up being an understatement for what our engineers came up with, and the packaging concept we presented was as straightforward as it was fitting for Bang! : a bullet. dV Giochi, having specifically asked for innovative packaging, was convinced by the idea, and urged us to get started on its production. Cartamundi’s extensive international network proved useful, and when an external supplier was found that satisfied dV Giochi’s qualitative and budgetary requirements, the wheels were set in motion for the bullets’ production. A steep upgrade from the bottom-lid box visually as well as in durability, the bullet packaging raised the game to a higher price range, and with economy of scale keeping production costs down, allowed dV Giochi to enjoy a larger profit margin on every Bang! sold. Specifically succesful in Italy, The United States, Korea, Spain, and France, the bullet version of Bang! 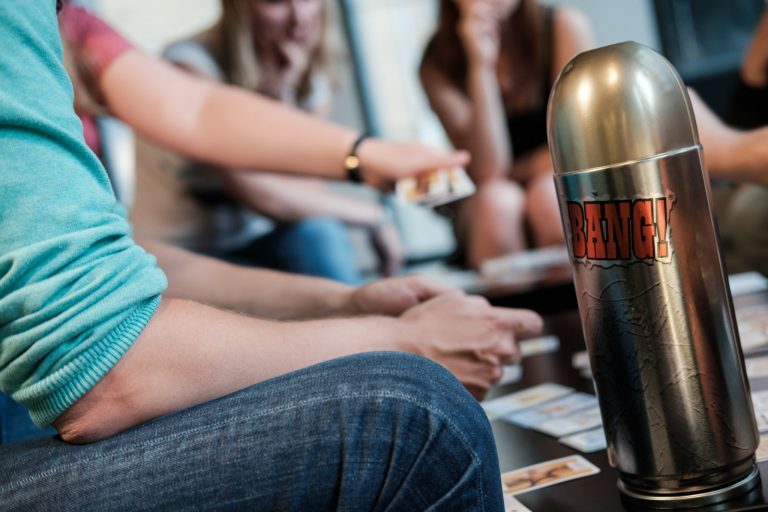 is still sold to this day, and Cartamundi and dV Giochi are currently redesigning the actual bullet for easier use, as well as taking the first steps in the creative process of a completely new packaging for Bang!. 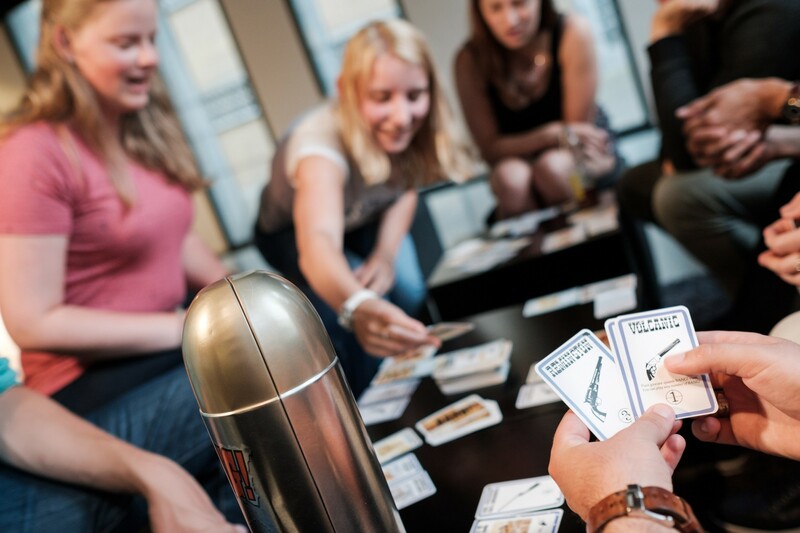 dV Giochi and Cartamundi have always been pleased to have a partnership, rather than a strict customer-supplier relationship, as our active approach gives them the opportunity to stay focused on the game development they hold so dearly.